It’s been a long and winding road to Brexit, and the journey is far from finished, which is worrying for all of us in the transport & logistics sector. By the time you are reading this, maybe good sense will have prevailed, and maybe not. But whatever the situation, life goes on, and so does business. However, Brexit concerns aside, there are other pressing matters to be dealt with, not least the growing skills shortage in our industry. 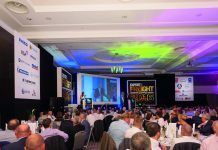 There are still more than 52,000 vacancies for HGV drivers across the UK, and that’s compounded by severe shortages of skilled workers in other areas of the industry. It’s been described as ‘a ticking timebomb.’ The FTA fear that with the prospect of losing access to vital EU workers, the shortage could reach catastrophic levels. Government clearly needs to look at ways of addressing the problem. But enough doom and gloom! On a more positive note, it’s good to see that local businesses are continuing to invest and expand. 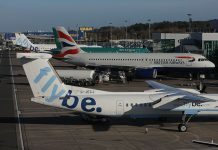 DFDS Belfast, for example, has seen its turn-over and employee numbers steadily grow over the past year. 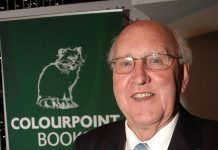 Another is Motis, which provides a “one stop shop” for hauliers’ day-to-day operational needs, while SDC Truck & Trailer Parts has opened its first branch in England, and on the shipping front, Irish Ferries has invested €4m in upgrading its vessel the MV Ulysses. 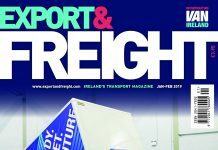 These are just some of the ‘success’ stories you can read about in this issue of Export & Freight; there are many more. 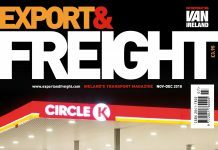 We also have an interesting read on how the Logistics & Warehousing Sector can manage the impact of Brexit, and we take a look at the benefits of becoming a Corporate Member of The Chartered Institute of Logistics and Transport (CILT), plus, we report in words and pictures on another successful and well attended annual Northern Ireland Logistics and Transport Annual Gala Dinner. And it’s a big congratulations to our very own Phil Eaglestone who has recently acquired in HGV Class 1 Category C+E driving licence, having passed his test at TTS at Nutts Corner. 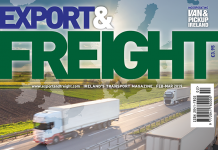 download the Apr-May 2019 issue of Export and Freight Magazine.